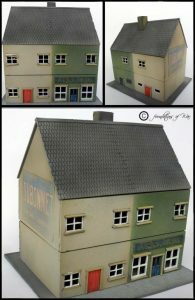 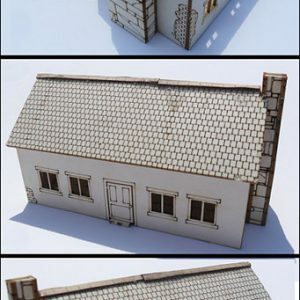 One small European style short row of one house and one shop laser cut from mdf, suitable for Flames Of War and other 15mm scale games, etc. 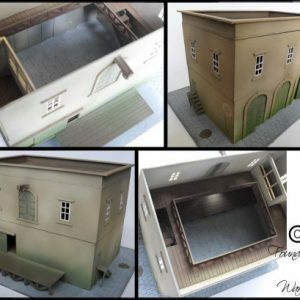 With both removable roof and upper floor and open-able doors, you can really fight your way through the streets of Europe street by street in glorious detail. 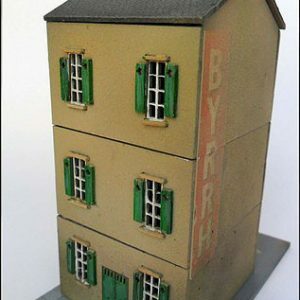 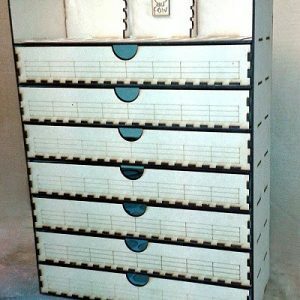 It has limited interior detail such as a wooden floor in the upper storey and tiles/stone floor in the ground floor. 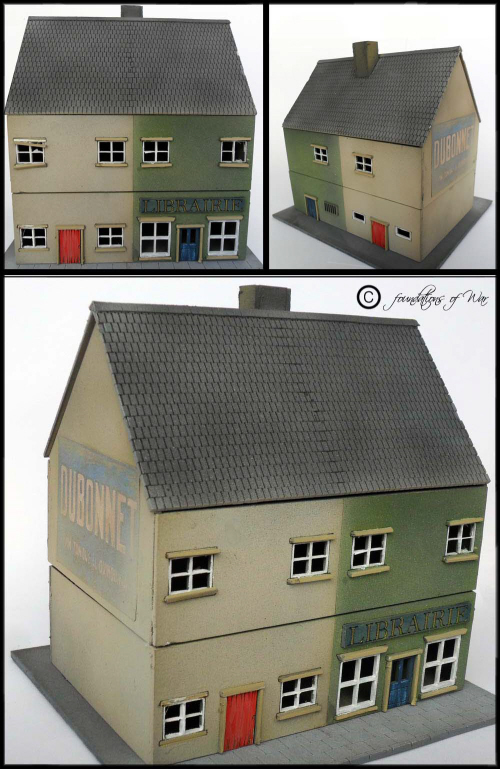 100mm wide, 70mm deep and 100mm to the apex of the roof.